Nagaland Adventist School is located in northeastern India near the country’s border with the country of Myanmar. The school is relatively new, founded in 2007. It has 204 students, but it could serve many more if it had dormitories to house the many children from outlying areas who want to study here. Part of our Thirteenth Sabbath Offering will help build a girls’ dormitory on the campus. The school is raising funds to build a boys’ dormitory as well. Eleven-year-old Niharika [pronounced: nee-har-EE-kah] lives with her Bible teacher in a remote corner of India. The teacher is not her uncle or her father or even a cousin. The reason she lives in his home is because her Seventh-day Adventist school doesn’t have a dormitory. Niharika is one of six children living in the homes of teachers near Nagaland Adventist School in northeastern India’s border with the country of Myanmar. 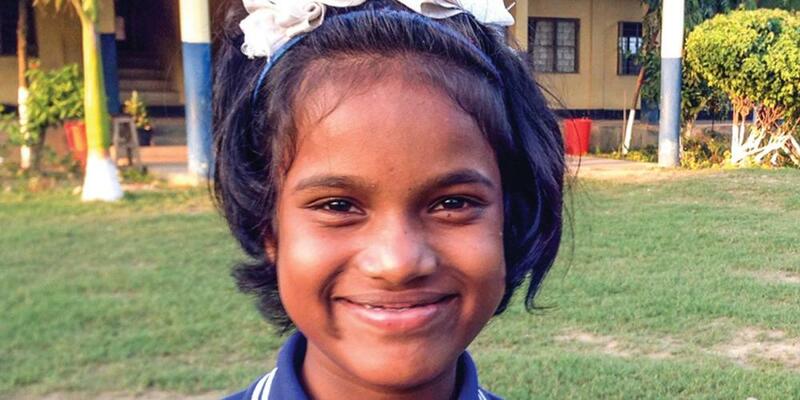 Niharika, who is in the fifth grade, has lived with the Bible teacher’s family for three years. Her parents, who are not Christians, live about 160 miles (250 kilometers) away. Niharika felt a little like Joseph when her parents first sent her to the school. Her parents learned about the English-speaking school from a family friend. Since they wanted her to learn English, they decided to send her to the Adventist school. To Niharika, it was as far away from home as Egypt was to Joseph. “The thought of leaving my parents and friends and living with another family made me sad,” Niharika says. But she said she also was excited about attending a school where she could learn English. Niharika’s first year was difficult for her. She struggled with English, which made doing her homework difficult. Unable to communicate easily, she found it difficult to make friends at first. Nagaland Adventist School does not have dormitories to house children who live far from the school. This has proven to be a big problem, especially since teachers can take only a few students into their homes. Teachers say the school has had to turn away many students who live too far from the school to travel there every day. One Adventist man living in Nagaland’s capital city wanted to send his nephews to the school, which is a two-hour trip by car each way. But the teachers have no more room in their homes for additional students. The boys’ uncle was disappointed. “I want my nephews to study in our Adventist institution. It is very difficult to keep the Sabbath when they study in other institutions,” he says. Although Nagaland is mostly Christian, many people misunderstand the seventh-day Sabbath. As a result, children from Adventist homes face difficulties in public schools. So Niharika and the other children at Nagaland Adventist School were excited when their teachers told them that the school will begin building dormitories for children like her who live too far from the school to go home. Part of this quarter’s Thirteenth Sabbath Offering will go toward building a girls’ dormitory. The school, which opened in 2007, has 204 students. Soon it will begin raising funds to build a boys’ dormitory as well.